Brett is a Principal for TechAccel LLC, a venture development and technology organization that invests across the agriculture, animal health, and food science industries. Brett leads venture investing, due diligence efforts, and guides all corporate and asset-related transactions for the firm. 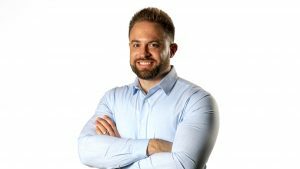 Prior to TechAccel, Brett worked in corporate development for a commodity trading and handling company focused in agriculture, feed, and energy. He helped source, evaluate, and execute mergers and acquisitions, equity investments, joint ventures, and organic growth initiatives. Further, he led efforts to assess the Agtech venture capital industry and evaluated startups in several areas including imagery, sensors, trading and logistics, and artificial intelligence. Prior to this, Brett worked for a small strategic advisory firm and a local bank. Brett serves as a selection committee member for InvestMidwest and the Animal Health Investment Forum and volunteers as a coach and mentor for the Ag Innovation Showcase. He also serves as a guest lecturer for the Blue Valley CAPS program. Brett graduated from the University of Kansas and is a CFA® charterholder. He is a member of the CFA Institute and the Kansas City CFA Society.